This time, I was not putting my hand on her waist and I didn’t pull her closer to my own body. Just watching her from a distance would do. The stunning viewpoint lay right behind us and we drove about 30 minutes in Pedro’s Tuc Tuc just to get here. I must admit, the view was gorgeous and it was an excellent location for a romantic hug. But there was something holding me back. A dozen workmen in dirty clothing stopped building the deck they were working on. We appeared to be an excellent entertainment break from their boring jobs and we were probably the only foreigners they had seen all week. I could feel their burning eyes and I could hear their whispers and laughs. Why didn’t we dare to be openly queer in Guatemala? 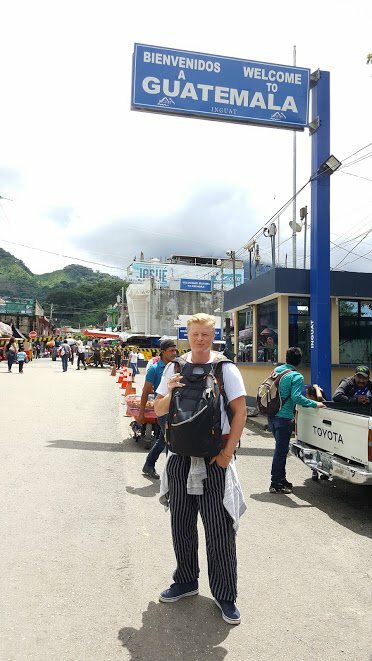 What is lesbian travel in Guatemala and being gay in Guatemala like? Only half an hour earlier, our guide Pedro took a similar picture of us. Back then I had pulled my love close against my body and the picture ended up being a classic couple photo on a nice viewpoint. What had changed? Once more, a local Guatemalan had let us know that Guatemala is a very religious country and women were supposed to be with a man. After taking us to the next viewpoint, he was obviously showing his best side in trying to seduce Lobke. There was no way that we could have been a couple. We just happened to travel together. The last viewpoint was in a desolate place and we were surrounded by older men in working outfits. Our feeling had changed and we didn’t feel as free as we should have for being gay in Guatemala. We call it safety precautions. Other people might call it craven. We just decided that it would be safer not to show our affection in front of all these men, with no backup plan or escape route. Guatemala is still a developing country with a rich religious and cultural history. We found that this is the ground rule: if you believe in Jesus and follow his guidance, you will be safe and you’re allowed to speed a little with your car. 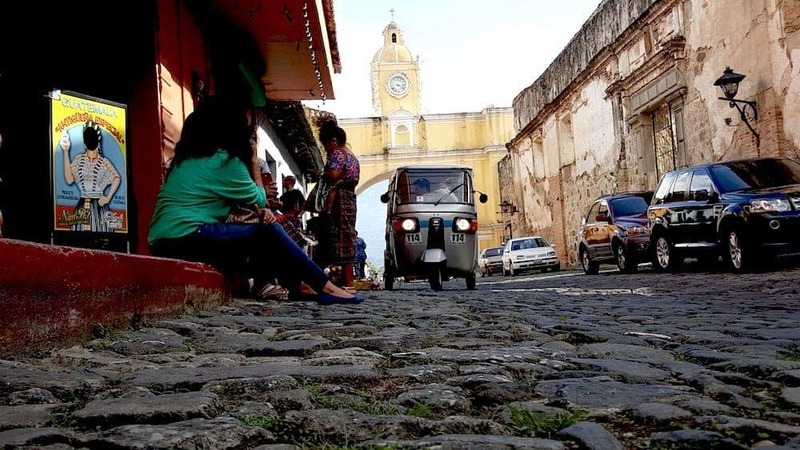 There is not a car, truck or tuk-tuk in Guatemala that isn’t guided by the lord. In many rural villages, his name is painted on each house, accompanied by a quote from the bible. I don’t mean to be disrespectful, but he is not the one that guides me and he doesn’t welcome me in his house. So my question is: are we welcome in this country? 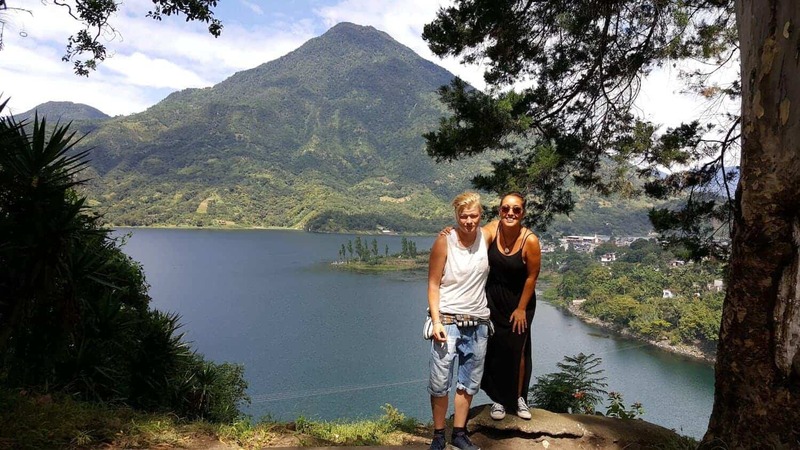 You can check the LGBT rights and our LGBT travel advice on our specific Guatemala page. 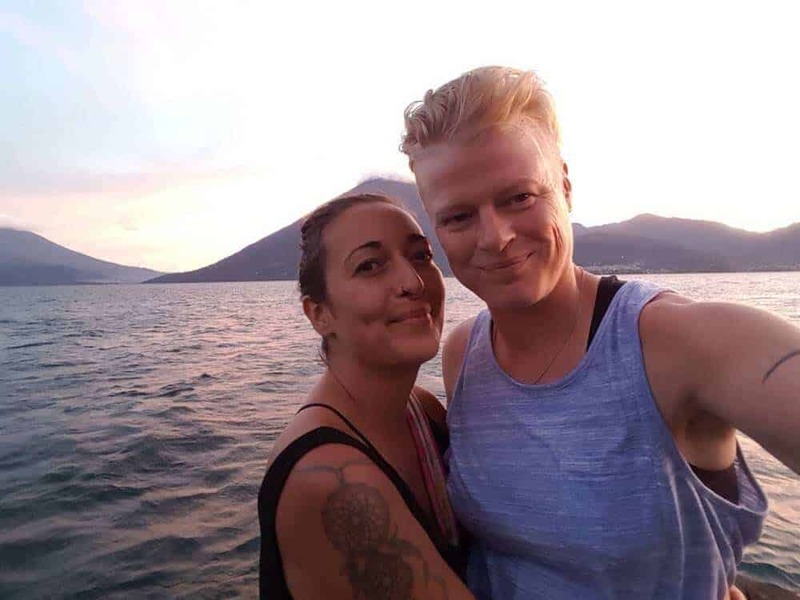 This post is our personal story of how we experienced our travels while being gay in Guatemala and how we were received as a lesbian couple. 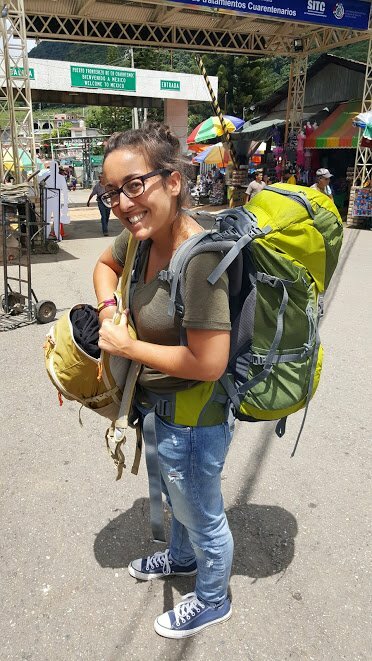 Lobke could be traveling through Guatemala without encountering any foreseeable trouble. The only issue seems to be that Guatemalan men think the same way about her than I do. She’s a lovely lady and they can see that too. So men try to hit on her and they call her ‘bonita’ or ‘guapa’ when we walk by. So far, no harm in that. Mostly, I’m the one we’re worrying about! I look like a man, talk like a man and walk like a man. Yes, it could have been a pop song! Back in 2012, people called me sir all the time. My hair was even shorter back then. The only thing that changed, is that my hair is a little longer now. But apparently, that was enough. Or have times changed? In 2017, we are ‘chicas’. I can’t count the times that I’ve been misgendered on just one hand. Each time people address us now as girls, we’re both surprised! It’s funny! Are you sisters? Euh! How did you know? See the resemblance! It seems like people are assuming there must be a husband waiting for us somewhere. Then we have to admit we’re still not married and we don’t have any children. We tend to keep up appearances and act as if we just didn’t find the right guy yet. Yes! Maybe you are the right guy! Twin beds or a matrimonial bed? We’ve heard stories about lesbian travelers who were denied a double bed. I must admit that never happened to us before. There have been times that the only available room had twin beds, but it never felt as if they wouldn’t let us sleep in a queen size bed. We did get some apologies for the fact that they didn’t have a twin room available. If it was ok for us to sleep together in one big bed? Sure! We’re sisters. We slept in the same bed before! It could definitely happen that some old school hotel owner doesn’t appreciate people being gay or lesbian. If we ever feel as if the employee or owner wants us out, we just go and find a more friendly place to stay. We always follow our gut feeling and if one of us has a negative vibe somewhere, we listen to our intuïtion and leave. It’s never fun to struggle for your right to be alive and in love. We want to avoid that feeling as much as possible and we enjoy staying in accommodation where we feel welcome and loved! 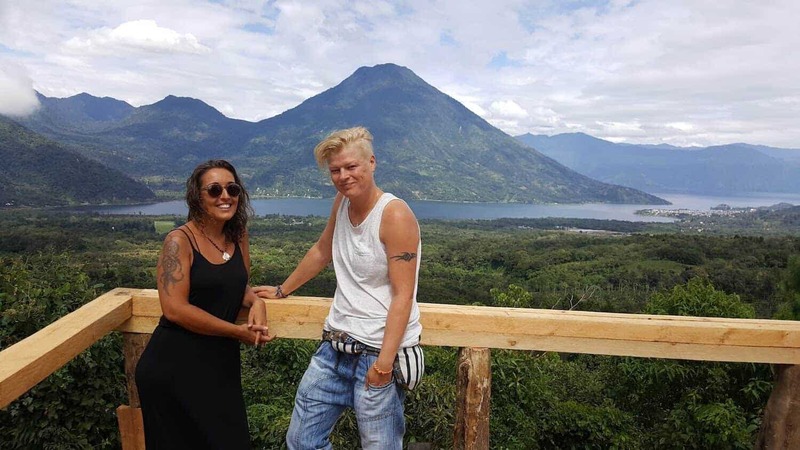 Most owners support lesbian travel in Guatemala and treat you like any other visitor. In my mind, nobody should be French kissing in the streets. These are activities that people should do in their private time, whether you’re gay, lesbian or straight. So I would definitely not recommend doing this as a lesbian couple in a busy Guatemalan street. Chances are, nothing will happen and people will just stare at you. But still, I wouldn’t recommend it. We don’t take any precautions when we’re walking in daylight. We’re just your regular sisters, walking in the street. Of course, we’re looking out for each other and we can touch each other. We’re just not an obvious couple. I can help Lobke get on a bus or jump of a high curb. Yes, curbs can be very high in Guatemala. At night, we’re a little more careful. Wearing a sweater, it’s easy for me to pass as a guy and it’s more difficult to gender me. When we’re in a place where we feel unsafe, I will gladly play the male role. I put my arm around Lobke and we can pass as a straight couple, which is likely to be safer than a lesbian couple at night. These are probably just the rules that play in my own head. But as I said before: we follow our intuition and it hasn’t let us down so far. I recommend you do the same. According to the law, homosexuality is legal and so is lesbian travel and being gay in Guatemala. People are supposed to leave you alone. Don’t argue to prove you’re right unless you’re in for a long discussion. If they call you a sir, then be a sir. Maybe it just that I don’t really mind, but I hate to have to express my curves just to point out that they were wrong and they gave me the wrong pronoun. I don’t like to bring extra attention to the fact that I’m different in a different culture. If you need to use the restrooms, clarify your gender before you attempt to enter the ladies room. That is if your gender might be a question for the toilet guardian! Read more about visiting bathrooms worldwide. Follow your gut feeling. With a lot of people, you can easily express your sexuality, but you don’t have to. We often choose not to talk about being lesbian to locals, because we don’t like to defend our self or hearing that we just haven’t found the right guy yet. In other cases, we do talk about it and have great conversations about it. We just choose when we want to talk about it and when we don’t. If you don’t feel safe, you can either walk away or get into a nearby establishment. We once went inside a shop and had them call a taxi because we didn’t want to go out again. 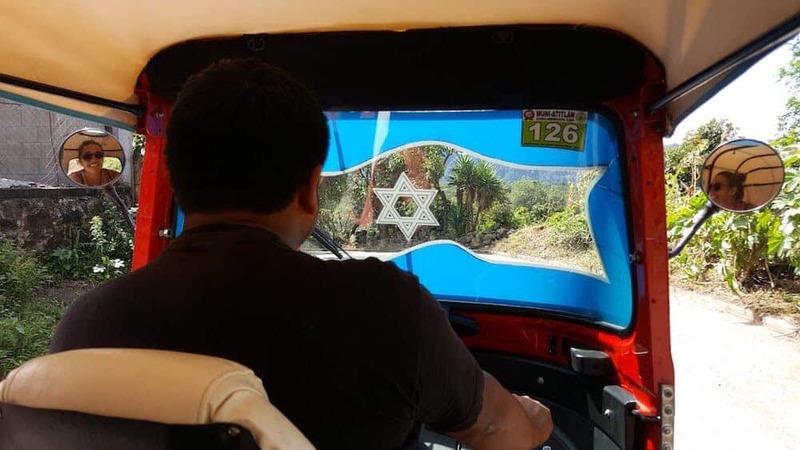 This was not in Guatemala. I just want to say: listen to your feelings. Want to know why we love Guatemala so much? And most important: don’t let this post scare you. We have traveled through Central and South America for months and never encountered any real trouble. In most places, you can just be you and nobody will bother you. The things we wrote down in this post are just precautions you can choose to take and the habits we made our own. We’ve had the best times with other travelers and locals alike where we could just be loving and caring towards each other. 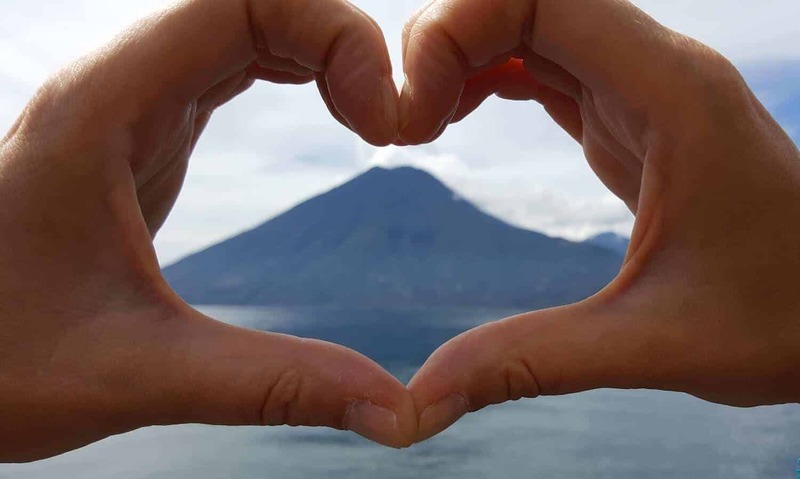 So now you know why our second picture in Santiago de Atitlan doesn’t look as romantic as it should! It’s different for everyone and I hear people telling us we shouldn’t be scared about this. But on the other hand, the people who are telling me that, are not a part of our minority group and they might take the ease and simplicity of their relationship for granted. Thank you so much for sharing <3 these types of accounts are invaluable. You have a very pragmatic approach to managing interaction and perception with the locals, and I really respect that – it's not always easy to do, so kudos. It sounds like Central and South America are edging closer towards acceptance and inclusiveness though, which gives me heart. And for what it's worth, I think both photos are beautiful. 😉 you rock! Thank you so much for your thoughtful comment! Really appreciate the love and we’re so glad you liked reading our ideas! A lot has changed the last few years in Central America, but there is still a long way to go. Let’s hope these great efforts will continue!